"Congratulation's to Diana Nyad for swiming from Florida to Cuba"
Cuba is fast becoming a more popular place to visit not only for Americans but people from all over the world. The problem if you are American is that there are a lot of restrictions that you must adhere to before you're let into the country. So if you're thinking of traveling from Florida to Cuba, for instance, then there are a lot of things, you must be aware of before planning your trip even though it is only 90 miles. 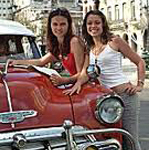 It is legal for you to travel to Cuba if you are a journalist or a Cuban-American, and you do not need a license to travel to Cuba. However, if you fall under any other categories, then you must get an official license to travel to Cuba from the US government. It is estimated that on average 150,000 people travel across the 90 miles to Cuba from America every single year. These people are not just traveling from Florida to Cuba; there are actually quite a few airports where you can travel from. One of the main problems is that you cannot fly direct. You will generally have to fly via Mexico or Canada. This is due to the strict regulations in place. 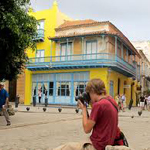 When thinking of planning your trip you must have a valid passport and a tourist card to enter Cuba. You will normally only be able to pick up this tourist card from an airport outside of The States, such as Mexico or Canada. It will cost you around about 20 Canadian dollars. All the regulations in place may seem quite strict but this for a reason. Cuba has a lot of history but surprisingly is one of the safest countries you can visit in the Caribbean. The strict regulations ensure that the crime rates remain quite low, which is obviously great news for anyone traveling to the exotic location. It is vital that when you are traveling to Cuba that you keep your passport very safe. There isn't an American embassy in Cuba so you will not be able to get another one. So you should keep very good care of it and may even take a copy of it so you can prove who you are if you do happen to lose it. So if you're thinking of traveling the 90 miles from Florida to Cuba, hopefully these tips will give you some good ideas and the information you need to know. Cuba is a fantastic place to visit with some great attractions and is well worth the small bit of hassle to get into the country. 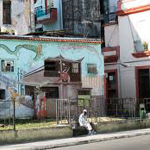 Shot in Havana Cuba in 2010.This short video allows you to explore some of the sights in old Havana. Anthony Bourdain with the travel channel airs one of our favorite shows, in this one he visits Cuba.